I'm just a beginner reptile enthusiast trying to learn the ropes. 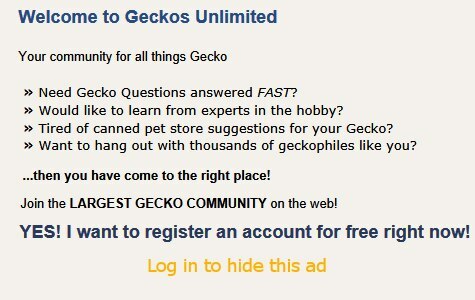 As of now I have two Leopard geckos, JayJay, a 7month old albino male and Cleo, an unknown age/morph female. I'm a dog trainer and reptile enthusiast, as well as a writer and ukulele player. 04:34 PM - Elizabeth Freer quoted JayJay&Cleo in post How often should an 8 month old leo be eating? 12:18 PM - JayJay&Cleo quoted Elizabeth Freer in post How often should an 8 month old leo be eating? 01:45 PM - ReptiFiles quoted JayJay&Cleo in post Is this setup okay? 01:43 PM - JayJay&Cleo quoted ReptiFiles in post Is this setup okay? 09:36 PM - JayJay&Cleo quoted acpart in post Clumsy/stompy gecko?? ?